I'm playing along in the current inspiration challenge by Altenew using the colors pictured below. Here is what I came up with using a couple of Altenew's minis, 2016 and Pine Tree. I love the 2016 stamp and wanted to get more use out of it before the year was up so I made a non traditional Christmas card. I'll be making a few more of these cards using different colors. It was so quick and easy to make. 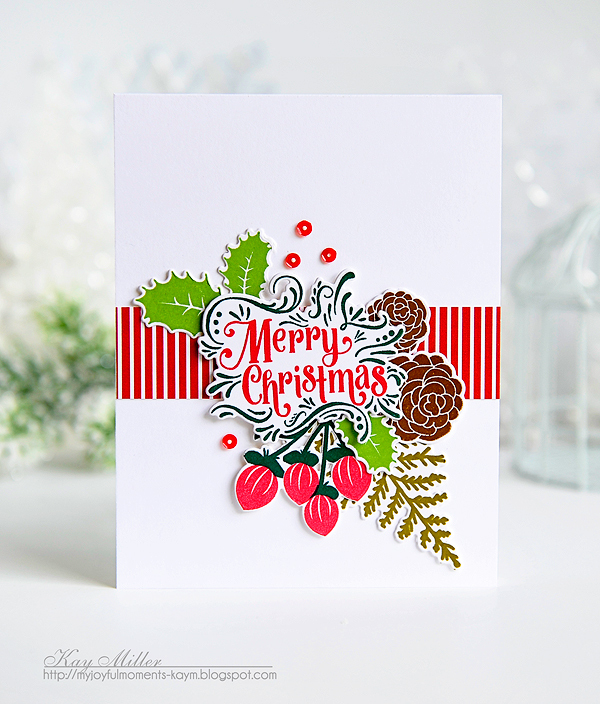 My card today features PTI's What The Doodle Ornament and coordinating dies. 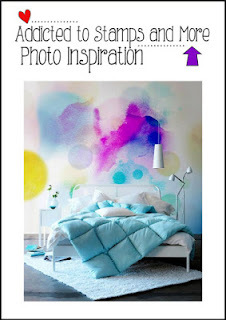 I used Gansai Tambi watercolors for my background. 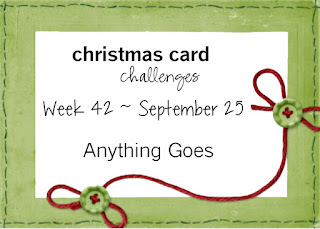 Have you started making your cards yet? If not, stop by and play along. Christmas is only three months away! Thanks for dropping by and have a super day. Well, I have to say I was stumped on this MIM challenge by Betsy. I wanted to make something quick and easy but everything I made was too feminine. In the end I chose to enter this one. Background was smooshed using Gansai Tambi Water Colors. 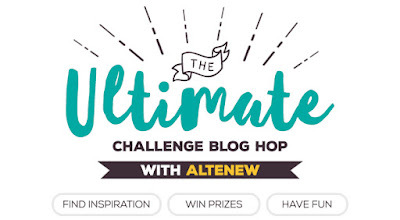 There's a new challenge up at ATSM. Now it's your turn. 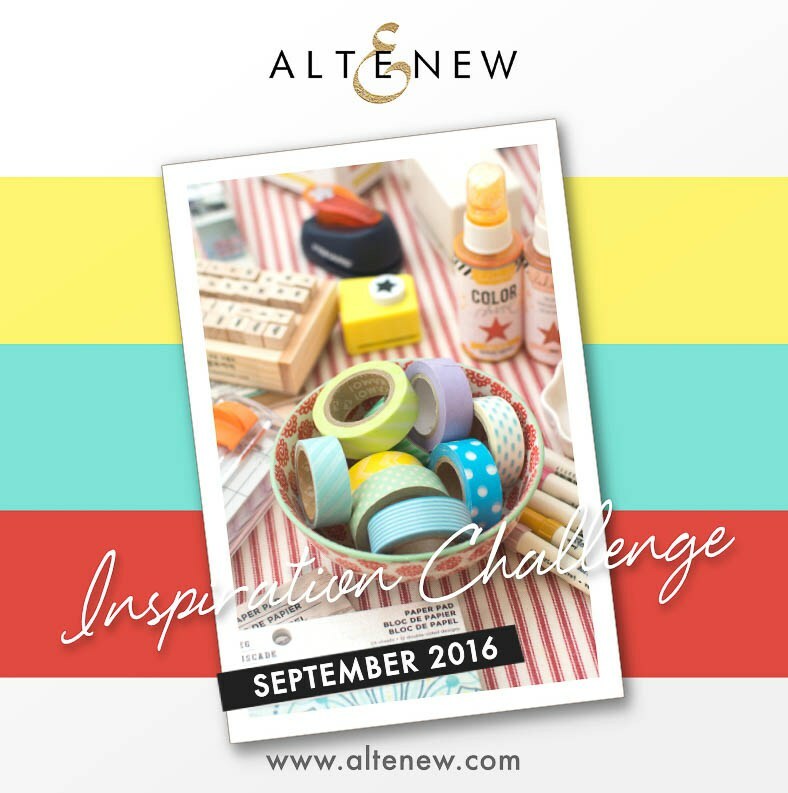 We would like to see your take on the challenge! Stop by and see what the rest of the team came up with. There's an awesome prize up for grabs. You can find the details below. I only colored in the areas that were die cut and left the rest of the card color free. I added an extra black die cut balloon behind the colored one just to outline it a bit. The sentiment was heat embossed with white embossing powder and sections of the panel colored in with Zig Real Brush Clean Color Markers . This background stamp reminds me of the adult coloring books that have been so popular lately. It's one of my favorite background stamps. Good evening and thanks for dropping by! After the images were heat embossed I sprinkled a bit of Pthalo Green Color Burst on my panel and spritzed it with a bit of water. When completely dried, I added splatters of white acrylic paint and the die cut sentiment. For my card today I used a retired set by Gina K. Designs called Heirloom Ornaments. 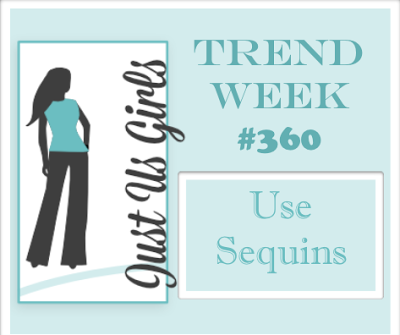 It was stamped on a die cut panel using PTI's Double Ups die. We would love to see your take on the challenge. Stop by and see what the rest of the team created! This month I'm casing Kay's fabulous card pictured below. Here is my entry featuring Peaceful Pinecones and an image from Ombre Builders. 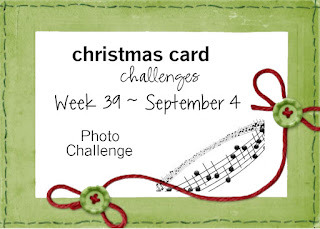 I 've entered a second card into MFT's Card Design Superstar Contest. For this one I chose the Die-namics New York Skyline as the focal point. I cut two out and stamped both with an image from Distressed Patterns.I cut one end of the first one and the opposite end of the second and layered one over the other with foam tape after I stamped a sentiment from Sweet Forest Friends. The top one was cut shorter on both ends. I sponged the background with distress inks and added water splatters. Here is the first card I made featuring the Sweet Forest Friends stamp set and coordinating dies, the Stitched Cloud dies and the Stitched Valley dies. The background was lightly sponged with tumbled glass distress ink and I added a bit of spun sugar distress ink to the edges of the clouds. I threw in several clear star sequins as a finishing touch. Thanks so much for dropping by. 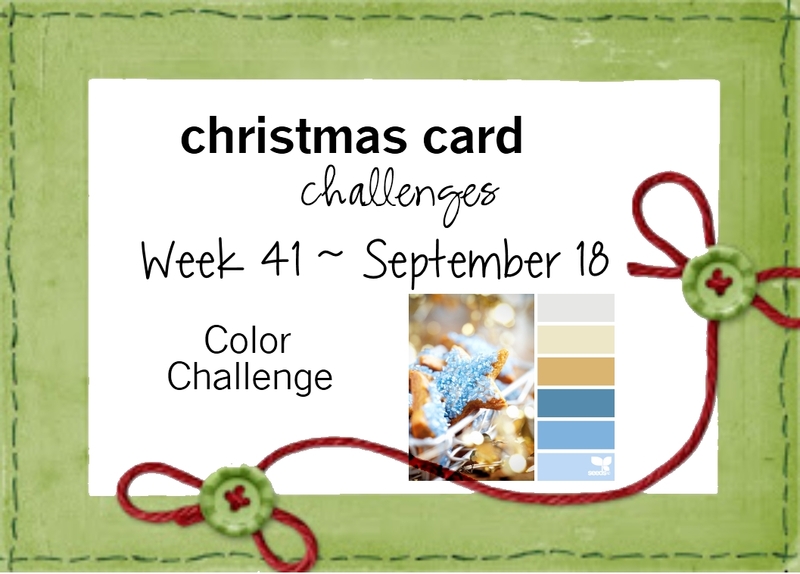 I will be posting two more cards that I will also enter into the contest later this week. 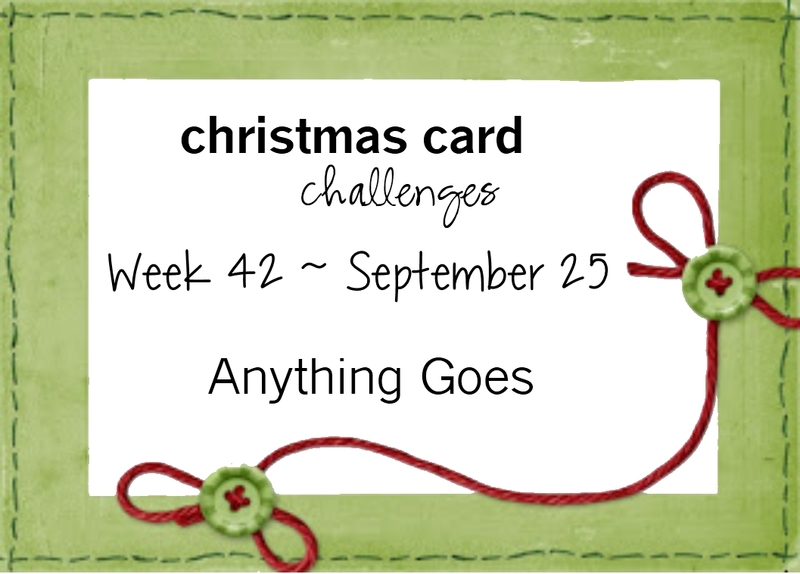 Hello and welcome to week #40 at Christmas Card Challenges! 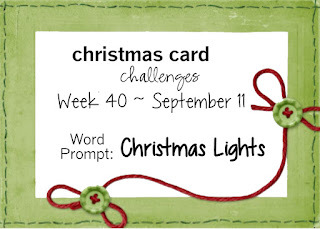 This week, although it is optional, we would like to see some Christmas lights on your cards. 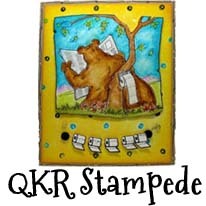 Here is my card with a cute image and sentiment from Fleece Navibaa by Gina K. Designs. 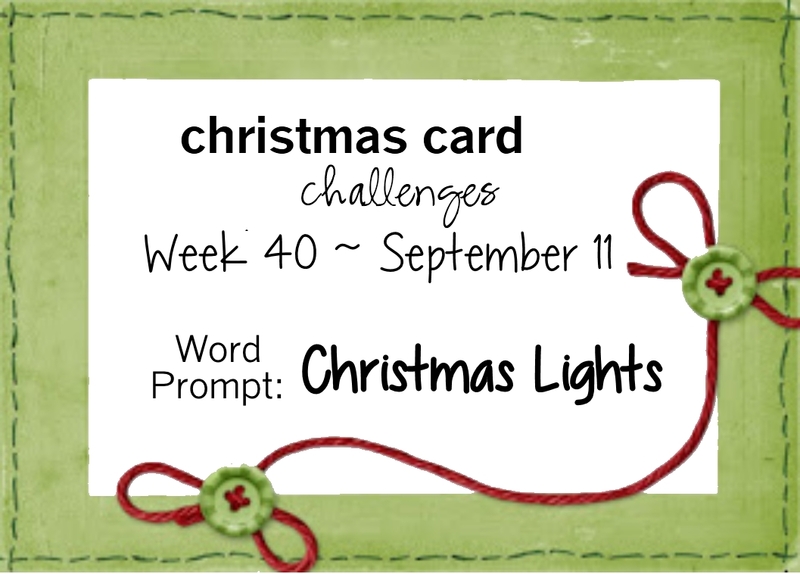 I added Glossy Accents to the lights and a bit of twine to finish off my card. Now it's your turn. We would like to see your take on the challenge. Hope you can find the time to play along. Stop by and see the rest of the DT's projects! 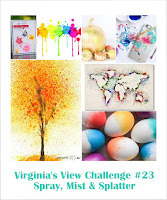 Danielle is hosting this week at Papertrey's MIM Challenge and she has a few tips on a fun technique which allows you to pop your black and white stamped backgrounds with a colorful focal point, that lines up with your original background images! I've chosen Doodlie-Do to create my card today. After stamping my image I die cut it with a Simon Says stitched rectangle wafer die then die cut it again in the center with a smaller sized die. The smaller one was colored in with my Zig Real Brush Markers. A stamped sentiment from Uncorked was adhered to the center of the card. I hope I have inspired you!. 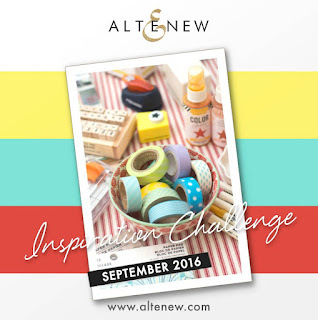 It's their Inspired by Words Challenge. Again I was inspired by the word trees and this time I also included the word Love. I used images from a couple of mini sets by Altenew called Winter Cottage and Pine Tree. I was aiming for a peaceful winter scene with a colorful blended background using distress inks. I did quite a bit of masking to achieve this look. Thanks so much for stopping by and I do hope you find time to play along and see all the beautiful cards created by the DT. It's time for a new challenge at ATSM. This week we have a photo to inspire you. Here is my take featuring the butterfly image from Beautiful Butterflies and it's coordinating die by PTI. I added a second layer of stamping from Butterfly Additions. The sentiment is from a mini set by Gina K. Designs called Dreams Take Flight. I did a little smooshing using Peacock Feathers distress ink by Tim Holtz. Come see what the rest of the team has created and play along. We would love to see you in our gallery. 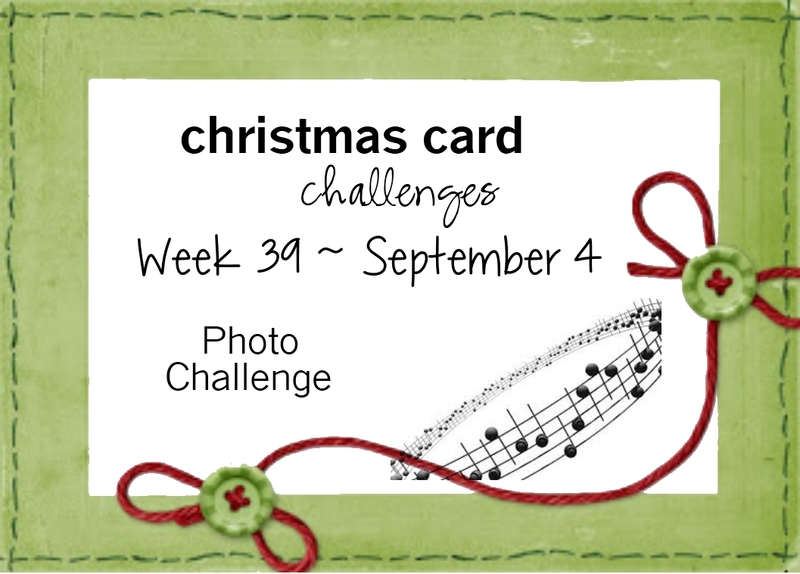 We have a photo challenge for you this week at Christmas Card Challenges. 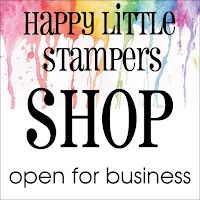 For my card this week I have combined goodies from several different companies that include Papertrey Ink, MFT, Winnie & Walter and Simon Says Stamp. I hope you find the time to play along with us. 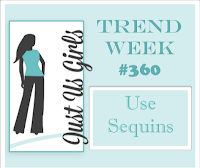 We would love to see your take on this challenge. This will be my third time and I would like to thank Nonni and the rest of the talented ladies there for asking me back! This fortnight we are to gather inspiration from the following phrase. Here's my take on the challenge. I was inspired by the word trees.